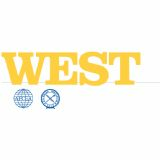 The premier naval conference and exposition on the West Coast, WEST is now in its 30th year of bringing military and industry leaders together. Co-sponsored by AFCEA International and the U.S. Naval Institute, WEST is the only event in which the makers of platforms and the designers of technologies can network, discuss and demonstrate their solutions in a single locale.